Bitdefender may have sterling marks from security labs, but version 6.1 isn't nearly so effective during real-world use. 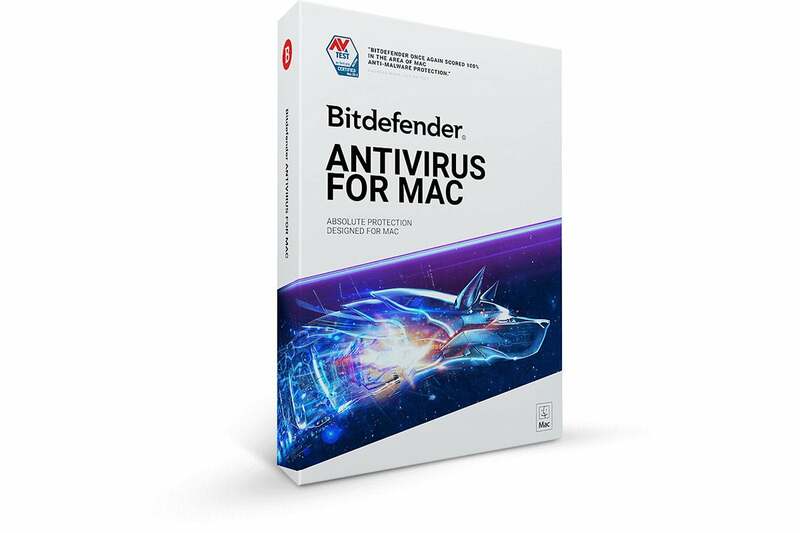 If you looked at the lab ratings for Bitdefender Antivirus, it would be easy to assume that this software package nails its focus on malware protection. It received the highest possible detection scores from AV-TEST and AV Comparatives: 100 percent percent from AV-TEST for macOS PUA detection, and above 99 percent for identifying Windows malware. But those scores don’t tell the whole story. When I tested browser-based delivery of malware, Bitdefender did indeed detect and block whatever I threw at it. However, when testing against downloading and decompressing macOS malware, it fared much worse. 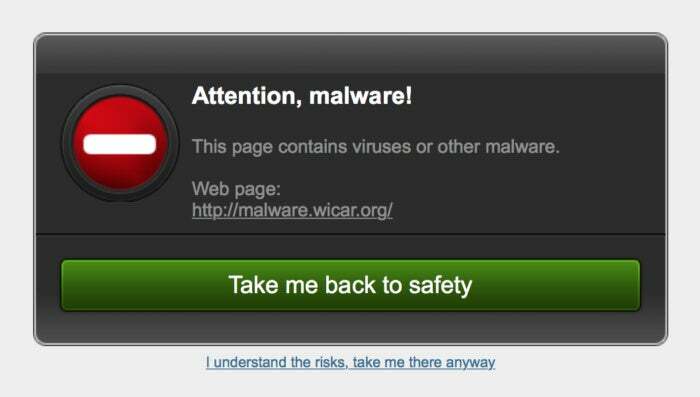 Note: This review is part of our best antivirus roundup. Go there for details about competing products and how we tested them. Bitdefender did protect against browser-based malware attacks during our spot-check tests. Bitdefender didn’t stop me when I downloaded macOS malware from the Objective See archive, decompressed it, and tried to launch it. (It was macOS that blocked the launch, because the samples were all either unsigned or used revoked certificates.) Bitdefender also didn’t catch it during an automatic scan. I had to run a Custom Scan in that specific folder for it to detect the malware. Even then, the file remained in place, but was no longer launchable. I tried this with other pieces of malware, and the same happened, except the file was deleted. There seemed to be no clear reason for why a file might be disabled instead of deleted, or visa versa. 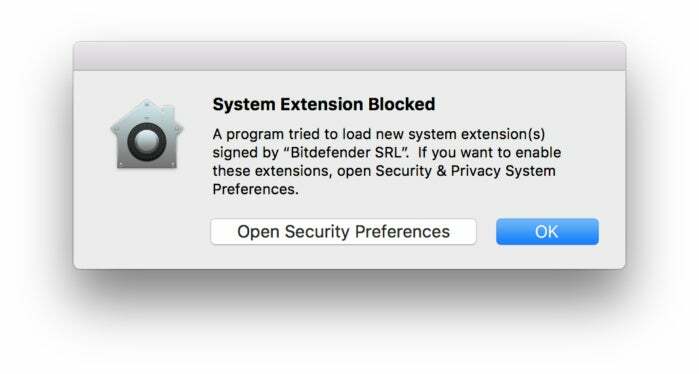 macOS's built-in protection had to fill in where Bitdefender fell asleep. This experience indicates that Bitdefender can’t be relied upon for real-time protection. Competing products detected malware as soon as they were decompressed or, in the worst case, when I tried to open or launch them. Beyond its problems with scanning, the app’s minimalist interface makes it hard to find more information. The quarantined file area is found under Preferences, as are logs. Files held in quarantine show just a malware ID and file path, as well as Restore and Delete buttons. You get nothing to click for more information, no repair option, and no other detail. Bitdefender's layout makes it difficult to find information. The native web browser isn’t installed automatically. Instead, you have to click a link on the app, click a link on a web page, and install it. 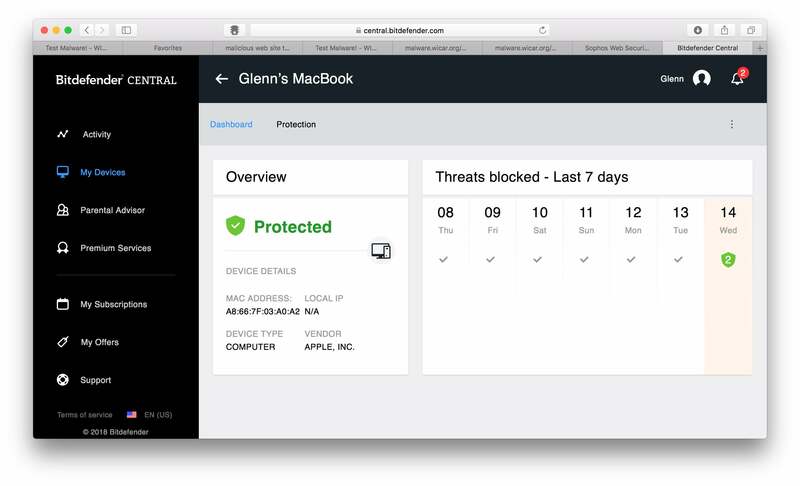 Bitdefender offers cloud support for certain remote access operations, but it’s a relatively small set compared to what you can do in the app. I also tested the included parental controls in passing. The web filtering worked so well, it couldn’t be turned off. After using the cloud-based interface to configure a profile and enable it on the test Mac, I then disabled it—and despite reboots and other attempts, and contacting the company’s representative, was unable to disable. Before attempting an uninstall and reinstall, I tried re-enabling parental controls again on the Mac with a new child’s profile and then disabling it again. That process did the trick. Bitdefender may have sterling marks from security labs, but we can’t recommend it due to ineffective real-time detection, lack of active ransomware monitoring, problematic parental control configuration, and a high price relative to competitors.